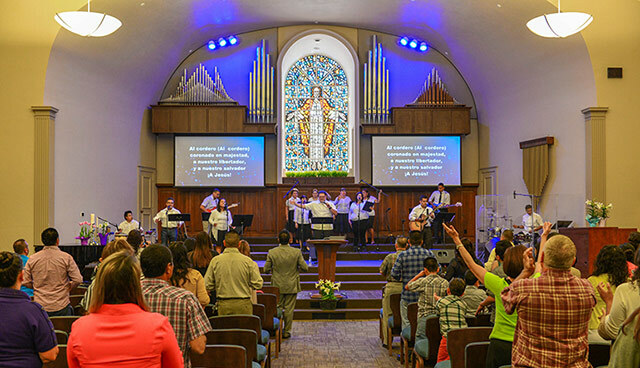 Each Sunday in the Chapel, our Hispanic Ministry Renovación gathers for worship. The service is in Spanish, and features a praise band and teaching by Pastors Armando Reyes and Victor Millán. On these Sundays, everyone 1st Grade and up gather together in the Worship Center. Translation devices are available for Spanish and Mandarin. Children’s programs available for Nursery—K. 1st Grade & up together for Worship with English, Spanish and Mandarin in the Worship Center. No LifeGroups. Church Picnic after the service.